This year the Annual Hot Air Balloon Festival assure to be even bigger, bolder, busier, and better. To know some of these insights, a press conference was launched on March 14, 2019 at the Enderun Mckincley. The sky will fill again of eye-popping visual larger-than-life hot air balloons in all shapes and sizes from all over the world. The event boasts of a bigger and more accessible venue at Clark Global City-a thriving hub of industry and commerce that you can literally get to by air, land, and sea. A huge crowd around 50,000 to 70,000 people are expected to come that weekend, from families with young children, teens, students tourists, to various groups such as motoring clubs, foodies and travel enthusiasts, even real estate groups, and government officials. This event brings people from all walks of life together. A city with a heart for the environment, where efficiency is the new business norm and gold LEED is the standard, Clark Global City is built to be the Philippines new center for business, culture . entertainment and leisure. Built on accessibility where airports and seaports are just minutes away, and 8-lane roads are never congested, even at full capacity. It's made with breathing space where you're free to move. and businesses have room to grow. It's designed for resiliency, where world-class structures are disaster-ready there's no stoppage on productivity. and participants a truly awesome and fun-filled experience and a good run for their fuel's worth. From the morning flight all the way to the concert at night, the festival will be packed with entertainment to make the events debut a truly memorable one. Thousands of daily spectators, great food, lively entertainment and a breathtaking show all happening in the spectacular venue on this 3-day festivity. 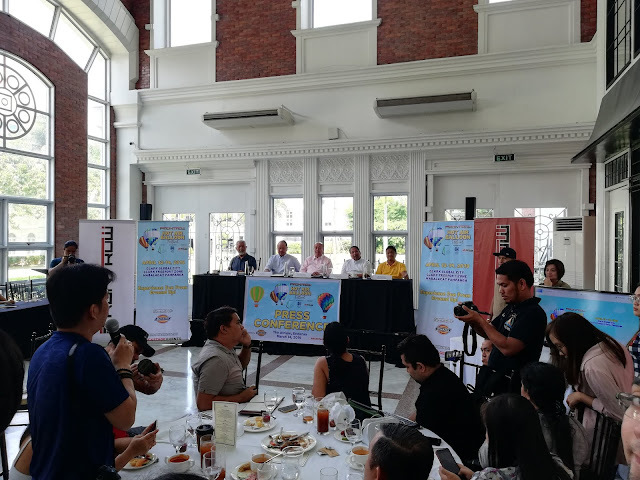 Catch the country's hottest music acts, along with the best of Pampanga's bands will take the stage every night over the weekend with the country's hottest acts-Slapshock on Friday, Kamikazee on Saturday and Ely Buendia, Hale, and Unique Salonga on Sunday. It's a three day full of exciting activities for the whole family. Fun activities for kids and family such as inflatable attractions and slides show with their favorite cartoon characters. 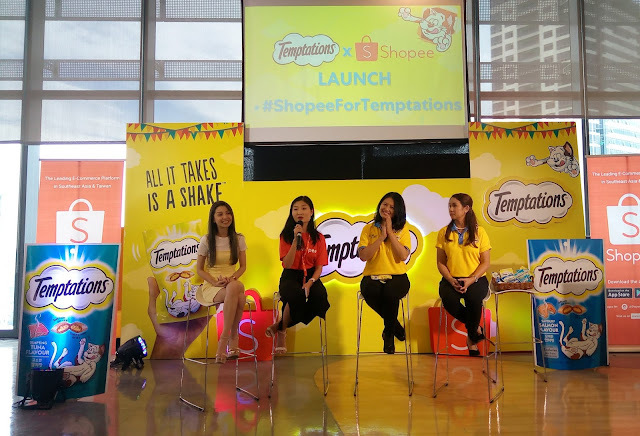 There are over a hundred food and shopping choices around that cater to everyone needs. 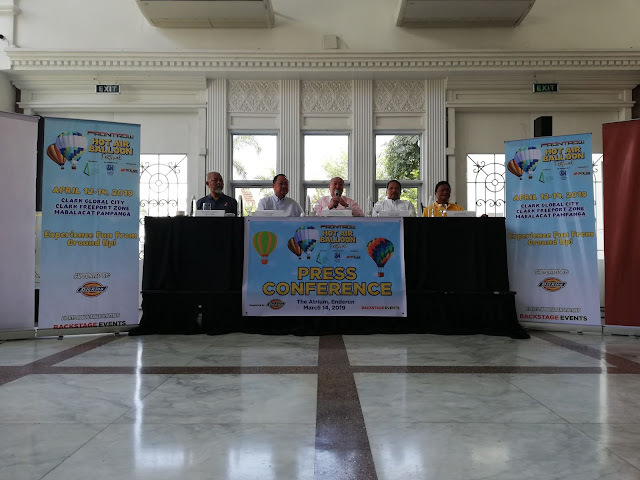 Of course, balloon rides are the main attraction and for those who prefer to stay around while waiting for their turn on a balloon, they can enjoy different activities at the festival. 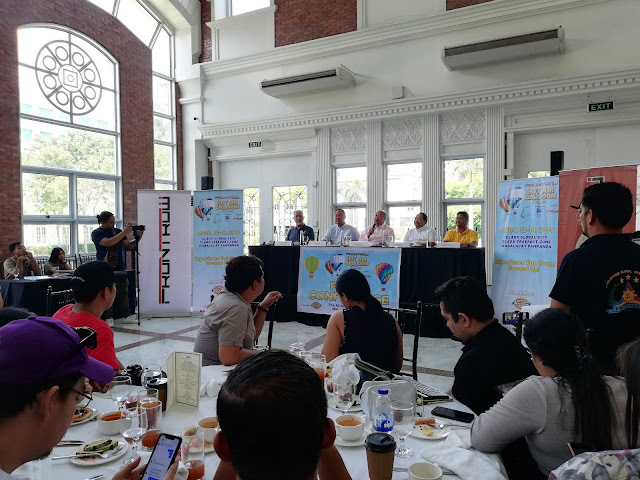 Car and motorsport enthusiasts will gather together for several major events that include the National Drift Championship, Slalom Racing, Philippine Auto Cross Championship Series, Philippine Rally Cross Series and Suzuki Motorcycle Philippines Stunt Show. 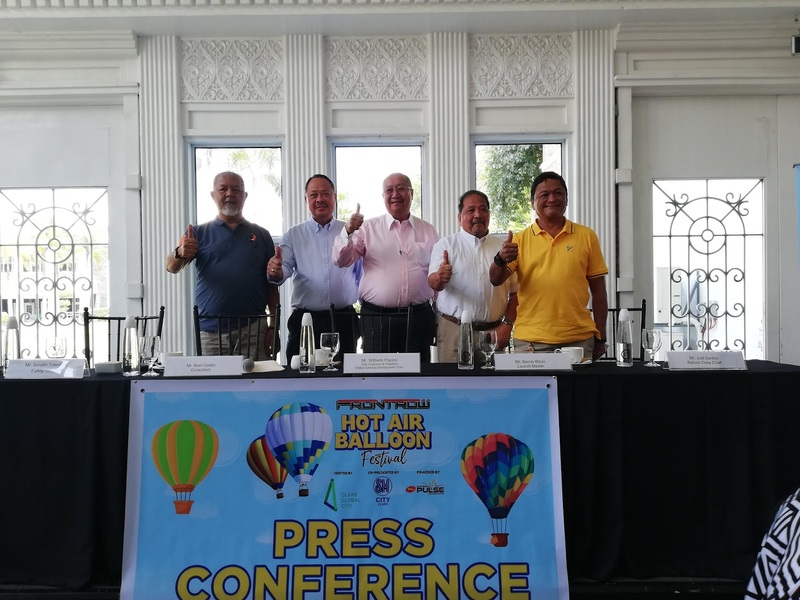 The Clark Global City Hot Air Balloon Festival is here to dazzle spectators with amazing aerial attractions and high-energy ground festivities you sure don't want to miss. 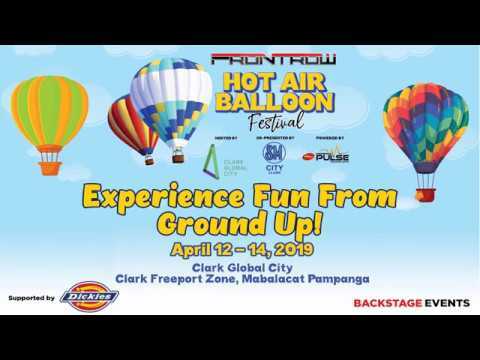 Witness and experience the longest running aerial show which will be happening this time in a much bigger venue, The CLARK GLOBAL CITY at Clark Freeport, Mabalacat Pampanga on April 12-14 2019. A Tethered balloon ride is when the balloons are tied to the ground with 3 or 4 very strong ropes to keep the balloon from flying away. 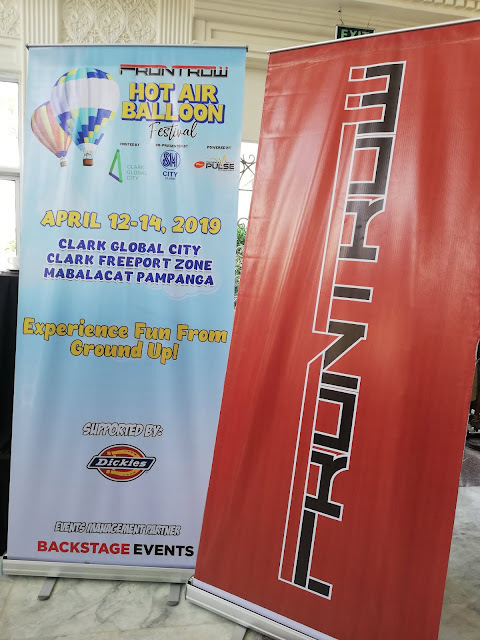 The Frontrow International Hot Air Balloon Festival hosted by Clark Global City, co-presented by SM City Clark, powered by Phoenix Pulse Technology, supported by Dickies and Clark Medical City.